We’ll tell you ways to get and use airline miles to travel to Hawaii here. For many, a trip to Hawaii is their dream destination. If you like relaxing on pristine beaches, breathing in clean fresh air or enjoying the verdant tropical scenery, then Hawaii is for you. So how can you get there in the least expensive way possible? The most obvious way is to use airline miles. But what is the best ways to use your frequent flyer points to get to Hawaii? But before we answer that, we need to understand why using airline miles to travel to Hawaii could often be difficult. Many of the major domestic airlines have a separate category for using airline miles to travel to Hawaii. These are airlines like American, United and Delta. The same also applies to regional carriers like Hawaiian and Alaska that offer service to and from Hawaii. 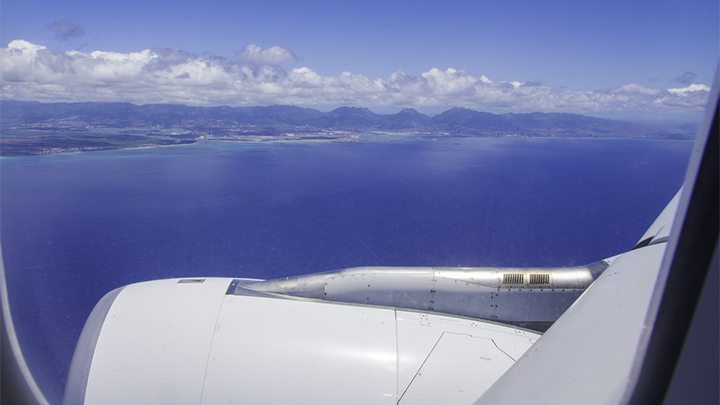 The amount of airline miles needed for round trips to Hawaii typically start at 45,000 miles. This compares to only needing 25,000 miles to flying round trip to anywhere else in the contiguous 48 states. So why does it require more miles to fly to Hawaii than the other 48 contiguous states? First and foremost, it is a function of supply and demand. On the demand side of the equation, Hawaii is a highly desired travel destination for vacations. Whereas on the supply side, the airlines, out of necessity, must limit the number of seats allocated for mileage customers. Some travel bloggers are suggesting using the legacy carriers’ airline partners’ frequent flyer program. This is because some of them require less miles than their alliance partners. One example could include using British Airways’ instead of American Airlines’ mileage program for a trip to Hawaii. Another example is using Korean Airlines miles instead of Delta for traveling to Hawaii. But while they may require less miles, you may still come up with the main problem of limited availability of seats allocated for mileage users on any given flight. Understanding the high demand for mileage seats to Hawaii, the best advice is to start looking for flights as far in advance that you can. It also helps to be flexible on the dates you want to fly on. This is where retirees have an advantage over others. They can fly on weekdays, especially on slow days like Tuesdays. Assuming you can swing it, this might be your best bet for using airline miles to travel to Hawaii. Because so many people want to fly to Hawaii, you shouldn’t be surprised to find out you’ll probably have to pay more than the baseline number of miles. Most airlines may charge 60,000 to 90,000 if you can’t get a mileage seat at say, 45,000 miles. So be prepared for this. One way to earn more miles is through credit card programs. Most people use credit cards, so you might as well get mileage for using them. Earning miles this way will help you pay for the extra premium you might have to pay to use miles to travel to Hawaii. Could Using and Redeeming Miles Become Easier? 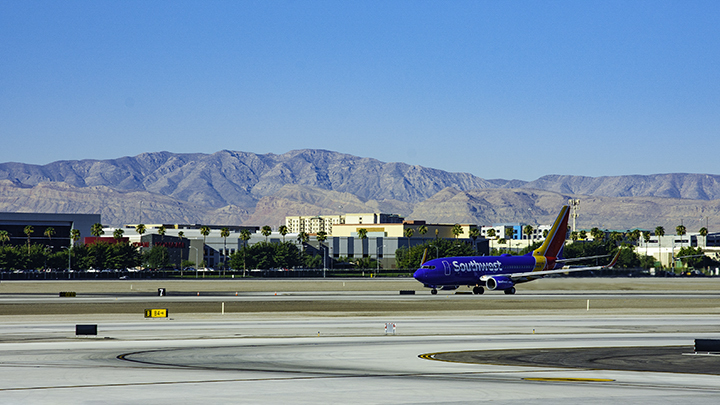 A Southwest flight departing out of Las Vegas’ McCarran International Airport. Southwest recently announced it’ll offer flights to Hawaii either in late 2018 or in early 2019. An online report stated that Southwest has the easiest, mot accessible mileage program. So hopefully, this will continue to be the case when they begin service to Hawaii. Another advantage of flying on Southwest is that they don’t charge for 2 bags of checked luggage or on hand-carried luggage. Another factor that could impact availability of mileage seat is that airlines are making a greater percentage of their profits from frequent flyer programs. In fact, some business analysts believe the value of American Airlines’ frequent flyer program is worth more than the airline itself. Airlines make money from their frequent flyer program by selling miles to credit card companies as well as by selling the consumer data they collected. This seems to be a growing trend among the domestic US carriers. So, if this is the case, it would be in the airlines’ interests to make it easier to redeem miles, especially for Hawaii.